Your rugs are the only piece of art in your home that you walk on. Even the most meticulous housekeeper can’t save them from the eventual buildup of dust and grime. Our 12-step Green Cleaning process is just what your rug needs to return to its like-new luster. Read about our process below or contact us today to schedule a pickup of your rugs for cleaning. A thorough cleaning performed by experts is the only way to treat your rugs. 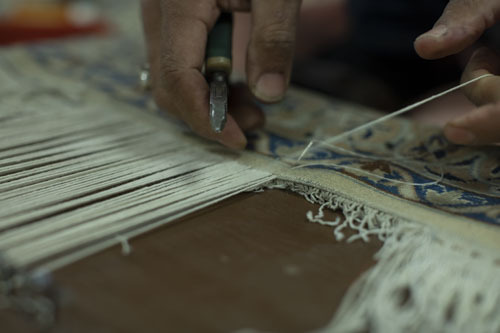 Our process ensures that every rug is given the best treatment for its unique type and construction. Click each step below to learn more about how we clean your rug. We start by vacuuming the front and back of the rug so we can clearly see the condition of the rug. Any pre-existing conditions (previous dye run, tears in rug, condition of fringe, etc.) are noted in case the customer needs to be consulted prior to cleaning. 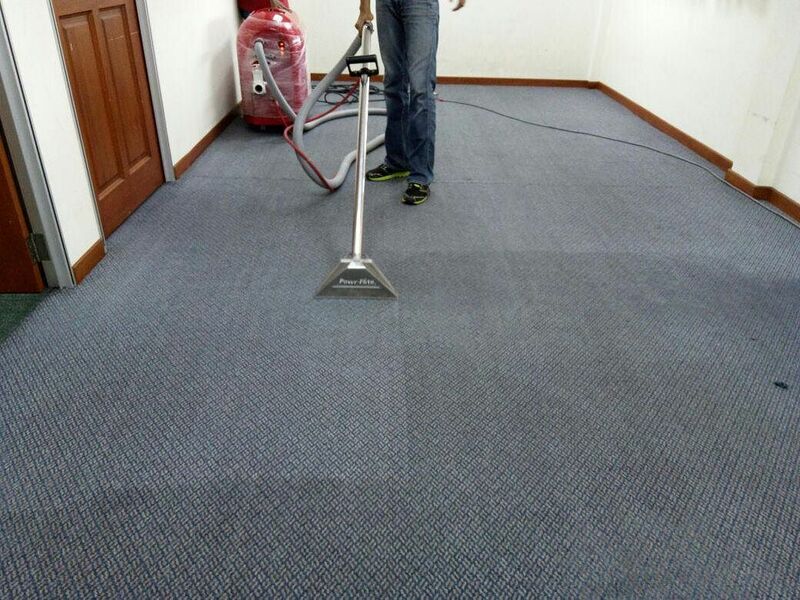 Any stains or highly trafficked areas are pre-treated to loose up soiling. The rugs are flooded with water to thoroughly loosen deep seated dirt. In most rugs this treatment is appropriate. 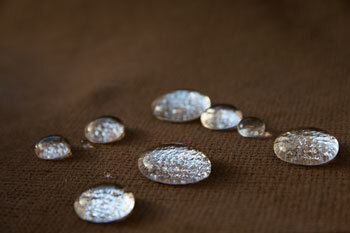 Some rugs, including latex backed and tufted rugs which are held together with glue on the back, cannot be soaked. Similarly some delicate piles such as silk cannot always be soaked. When it can be done however, this step sets us apart from other cleaners who can only do a superficial “face” cleaning. Using soft brushes, the front and back of the rugs are scrubbed and lathered with natural GREEN plant based soaps, which are petroleum FREE , phosphate FREE, formaldehyde FREE, and 100% biodegradable. 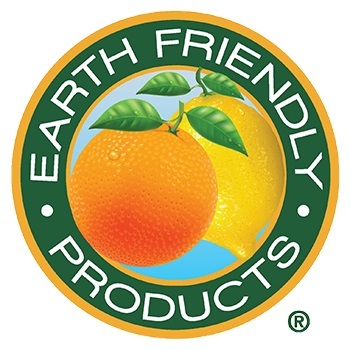 The Earth Friendly (trademark) products we use are good for the environment, and are people and pet friendly! The rug is then rinsed thoroughly until all soap, residue, and soil is flushed out. The rug is placed in a large centrifuge which “spin cycles” the rug while it is further flushed with water to remove any remaining residue and soap. The rug is then hung on a drying rack, which is suspended in the air by a system of pulleys. The rug will dry with industrial strength fans blowing air on them. If the rug dries too slowly it may yellow, “brown out”, or smell sour. When rug is dry, it is removed from the rack and the fringes are cleaned a second time. Fringes are usually made of cotton, which yellows in the drying process due to cellulose fiber. The fringes are individually washed without getting the body of the rug wet. Rug is hung again with fans blowing on the fringe until completely dry. Rug is removed from rack after fringe is dry, and hand brushed to lift & soften the pile. Larger rugs must be “raked” using special tools to loosen the stiffness of the pile before brushing. Rug is once again vacuumed, front & back. Rug is re-inspected. We make sure the rug is beautiful and clean, and again recommend any necessary repairs before the rug is rolled up & delivered back to the customer. The rug is shown again to the customer for final approval. Allegretti Rug Care uses cleaning products certified as environmentally friendly by the USDA and EPA. You may rest easy knowing that your rug cleaning is part of a sustainable process. Keeping your home looking its best can be difficult, especially with dirty, discolored wall-to-wall carpeting, stair runners and furniture upholstery. While area rugs and carpets can, and should, be cleaned away from the home, attention must still be paid to those furnishings which can’t be removed so easily. Our professional service crews will get your carpeting, stair covers, sofas and chairs back to their like-new luster using pet- and kid-friendly green cleaners. Call or write us today! Dirt and grime aren’t the only troubles that can befall your rugs. Between foot traffic, vacuuming, overzealous pets and unfortunate accidents, your rugs may begin to show signs of damage. 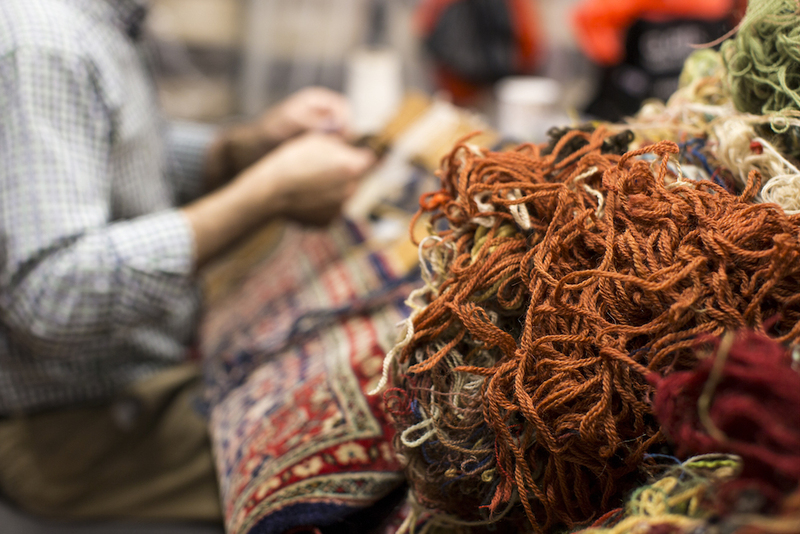 Loose threads, frayed fringes, worn piles – all of these and more can make your rugs look ratty and aged. 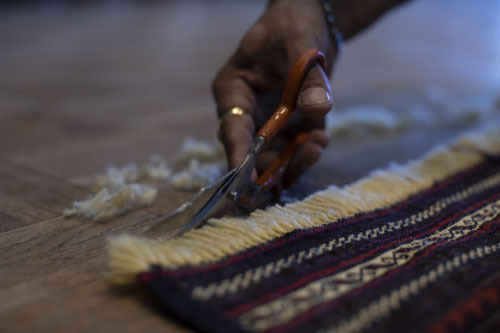 At Allegretti, our expert repair technicians can fix whatever is wrong with your rugs, from touching up loose bindings, to rebuilding and reweaving entire sections. Contact us today to learn more about what we can do to bring your rug back to its health and splendor. 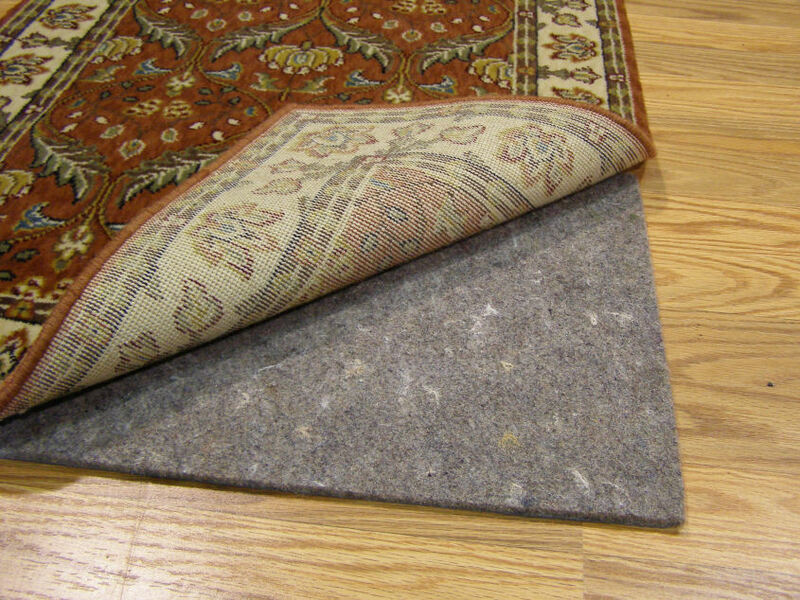 All rugs suffer wear-and-tear over time. From uneven fringes to fraying side bindings, the expert Allegretti repair technicians can fix all those little problems that crop up over time. After inspecting your rugs, our staff will contact you to inform you of any areas in need of work. Some problems are bigger than others. At Allegretti we pride ourselves in our ability to repair even the most destructive damage that can befall a rug. From extensive moth damage to major wear and pet damage, our technicians can re-weave entire sections of your rug to restore its natural beauty. In addition to cleaning and repairs, we offer multiple additional services that address all of your rug care needs, from padding to go under your rug to stain protection treatments that preserve its outer beauty and everything in between. Read more about some of these services in this section or contact us today and our knowledgeable staff will be happy to provide you with more information and answer any questions you may have. Rug pads are important for extending the life of your rug, prevent the rug from shifting, soften the sound of footsteps and make the rug more comfortable to walk on. We carry several varieties of padding to suit different types of rugs and environments. Ask our friendly staff which pad is right for your rug. Sometimes your pets just can’t hold it. When someone has an accident on one of your rugs, it is important to treat the rug to remove the odors and salvage the color. Ask about our deodorization treatment, or enzyme bath for larger accidents. Spills and accidents are a part of life. 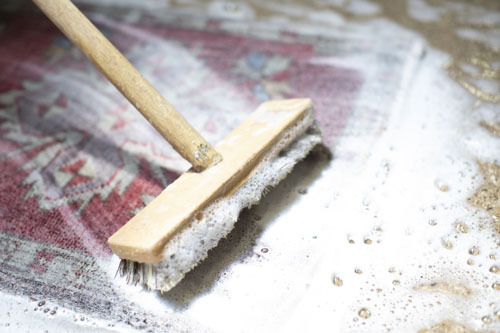 At Allegretti we take great pride in our ability to remove even some of the toughest stains from your rugs, but there is no better way to fight a stain than to prevent it altogether. We provide several different treatments to help protect your rug from staining – ask us which may be right for you! Our experts in oriental textiles have been recognized by various national organizations for their extensive knowledge of rugs. With over a hundred years of combined experience in the fine rug market, you can count on our authority when it comes to evaluating your carpets. 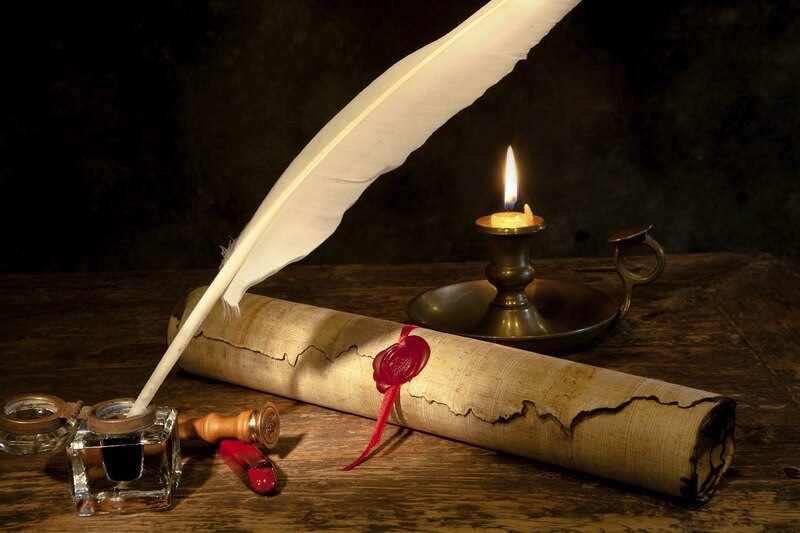 We are always happy to provide certified appraisal letters for collectors and insurers. For all your rug care needs! Call, write, or use the form here to get in touch and we’ll be happy to answer any questions or schedule an appointment to have your rugs picked up for service.